Villa Venice Movie rooms are characterised by images of famous stars of the world of cinema, very tasteful, elegant and welcoming where guests can stay in total relaxation and feel home in a film set environment. Every room has an en suite bathroom with shower, air conditioning, a fridge and TV. The rooms are all strictly “non-smoking”. Staying in a comfortable, clean environment with a pleasant smell is what each of us appreciates and wants when we are far from home, for this reason we kindly ask you to guarantee this policy at all times. 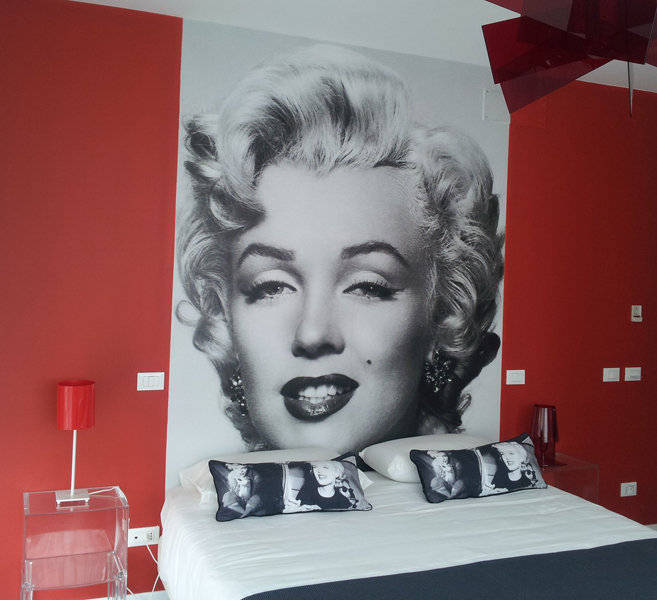 The rooms are defined by the predominant colour and are named after famous Film stars. The Red room is a single room with a French bed of 160 x 200. It is a very particular room in its design with a concealed cabinet located behind the behind which makes it very rational and at the same time sophisticated. 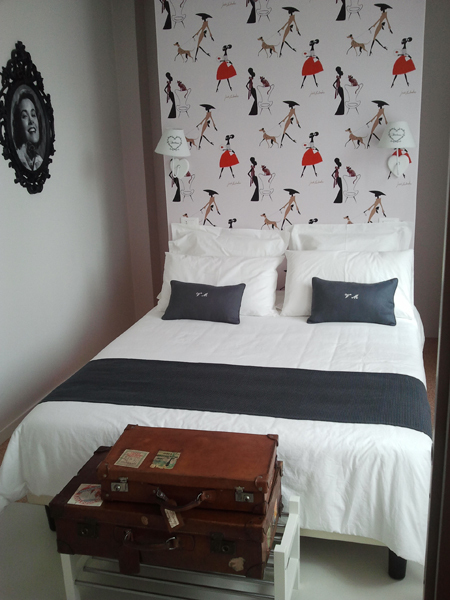 The room was decorated in red tones and has a large, comfortable bathroom.